The application process for Social Security Disability can be long and frustrating. While the majority of applicants are denied on their first attempt, many will also go through months or even years of hearings and appeals just to get the benefits to which they are entitled. According to recent reports, the Social Security Administration (SSA), approved nearly $400 billion in benefits. Many critics allege that these federal judges “rubber-stamped” the claims without review. In a process that is riddled with delays and complications, many individuals who were previously denied finally found relief. 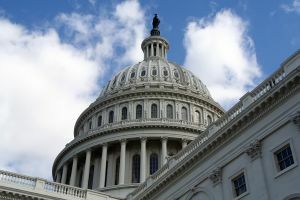 In a report that analyzed how administrative law judges approve disability claims, the House Committee on Oversight and Government Reform accused some of the judges of approving benefits too quickly. In these cases, the judges approved benefits claims more than 75% of the time. While some critics argue that the practice was wasteful, many of these individuals were in genuine need of disability funds. Our Boston SSDI attorneys are experienced in representing individuals suffering from disability or illness and in need of benefits. We are abreast of developments that impact the rights and interests of these applicants. According to the report, three administrative law judges had approval rates of over 90% and accounted for $10 billion in benefits distribution. While these judges are under scrutiny, there are just as many judges who repeatedly deny claims and benefits to those in need. Critics allege that the judges “rubber stamped” and approved every application without review. The judges also issued allowances without a hearing and were accused of misconduct by their employees. Unfortunately, the judges were not just accused of high approval rates, but at least one of the judges was accused of sleeping during hearings. Furthermore, this particular judge violated agency policies and was also disciplined for misconduct. The investigation made national headlines, but many of the reports fail to mention that these rates of approval involved only three judges. Common perceptions of the SSDI and SSI programs is that they are wasteful and mismanaged. According to some, the disability fund will be depleted by 2016 without proper reform. Still, the fact remains that the majority of applicants will be denied. The agency still only approves less than half of claims, even after a hearing. Those who apply for SSDI or SSI must be denied twice before their case reaches an administrative law judge. Usually a claimant is first denied by their state office, then they can appeal for a second review. If the second review is also denied, the applicant can appeal their case and have it heard before an administrative law judge. These high approval rates are troubling for critics of the program, but they also shed light on the seemingly arbitrary nature of denial and approval. For individuals who are suffering from disability and illness, remember that the SSA process can be complex. An experienced advocate can review your case, determine if you are eligible, help to prepare necessary documentation, and fight for your right to benefits from application through administrative hearings.